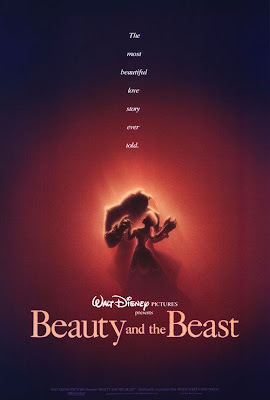 I remember seeing the Beauty and the Beast poster and feeling a sense of excitement. Its a poster that sums up the romantic aspect of the film while making it look exciting. That is was something that would be new and different. 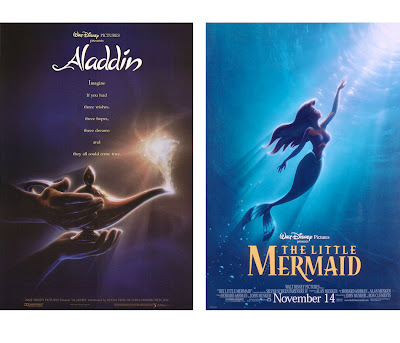 The Little Mermaid poster is one I have never scene, was it from the original release? If only they would use movie posters like this for DVD release covers. They always seem to choose the ugliest version of the film's poster. Those posters are amazing. He will be missed. Until now I didn't know who is the author of this wonderful posters. They are the only that really translate this fantastic movies. He and his beautiful work really will be missed.